Scottish Borders Bed and Breakfast accommodation at Sorbietrees is in a lovely stone farmhouse dating from the late 1700's and standing in 22 acres near Newcastleton in the Liddesdale Valley with spectacular views of the surrounding countryside. Sorbietrees was once the home of William Armstrong and principal house to a large estate, important enough to have its name on the fingerpost (still there today) in the hamlet of Kershopefoot. 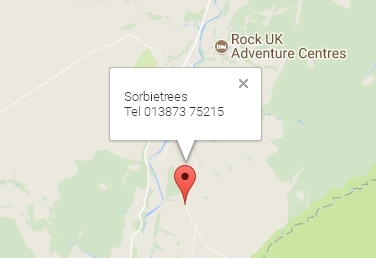 Sorbietrees is your ideal location to stay whatever the reason. Cycle the Reivers Route or Southern Borders Loop, or try out the Newcastleton 7 Stanes. Spend a day at Kielder with its famous water, forest and observatory. Visit Hermitage Castle, Hadrian's Wall, Gretna Green, Jedburgh and Melrose with their famous abbeys, Floors Castle at Kelso, or just relax and enjoy the peace and tranquillity. Quiet, comfortable bedrooms, a lounge with wood burning fire and a generous choice of breakfasts will set you up for the day (you probably won't need lunch), it's a great place to stay whatever the reason. The village of Newcastleton (also known as Copshaw Holm) was purpose designed and built from scratch by the Duke of Buccleuch in 1792 and is now a thriving community with 2 hotels which offer evening meals 7 days a week, a small pub, a coffee shop, tea room (also a Bistro Friday and Saturday evenings) bank, 2 small supermarkets (one with post office), butchers, antique shop, Arts and Crafts shop, Heritage Centre, Garage and Fuel Station (pay at the pump). An electric charging point will be available at the fuel station from May onwards. Booking direct through this website or by telephone always gives you the best prices and choice of rooms and for bookings of 4 nights of more gives you a 10% discount. We've been awarded a certificate of excellence!